Do you suffer from Migraines? Do you want to improve your golf swing? Do have chronic back pain? If you answered "yes" to any of these then you need a massage. But not just ANY massage, you need a customized session that is designed around you. At Massage Arkansas we take the time to listen to your goals so that we can help you reach them. Helping you on the path to peak performance is what we do best. Tension Headaches and Migraines can steal your life. Our clients report a 50%, or more, reduction in headaches in the first 2-3 sessions. In 2017 the American College of Physicians (ACP) recommended Massage Therapy as a first line of defense against chronic back pain before turning to medication. Can you imagine getting through the day with less pain and a clear head? Our customized protocols for athletic performance can help you improve your performance in ways you thought weren't possible. Imagine driving the ball an extra 20 yards past your buddy after just a few sessions. 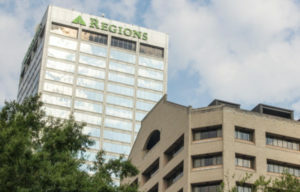 We are located in the heart of downtown in the Regions Tower at 400 West Capitol, just minutes from I30, I630 and North Little Rock. Sessions are by appointment only and we have several appointments available outside of normal business hours. Whether you want to recharge during your lunch or after work, we can find a time that works best for you and your schedule. Traditional services include a combination of Swedish, Deep Tissue, Stretching and other techniques. Discuss with your therapist if you have specific areas of concern or maybe you need all over relaxation. We have heated tables and additional climate control to ensure you are as comfortable and relaxed as you can be. Sessions may also include complimentary aromatherapy. Integrating eastern modalities into the western massage experience is part of our unique atmosphere. From the yoga-like stretches of Thai Massage to the relaxing Ashiatsu, we take deep tissue massage to the next level. Say goodbye to pointy elbows and prepare to have your muscles massaged like never before. If you are looking for a truly unique experience, try one of our bare foot therepay sesssions today. Are you ready to change your view of Massage Therapy? Why wait a minute longer? Take control of your physical goals and get on the path to reaching them. Be sure to allow for extra time around your appointment so we can get to know you and your unique needs.